Working in a office with several employees can be a difficult task. The constant office chatter makes it difficult when you’re on the phone. Fortunately there are plenty of headphones that will help filter out majority of the background noise. I’m almost certain that majority of people have heard the phrase “noise canceling.” Generally speaking, that is referring to the microphones ability to filter out noise for the user on the other end of the phone. Below you will find a small list of headsets are great at filtering out that background noise. As a bonus I will include a couple of headphones that filter out noise through the microphone and the noise through the earphones! Some of the headsets will have passive/active noise canceling earphones. Let us start with the noise canceling microphone only category. Note, all of these headsets come with a superb noise canceling microphone. 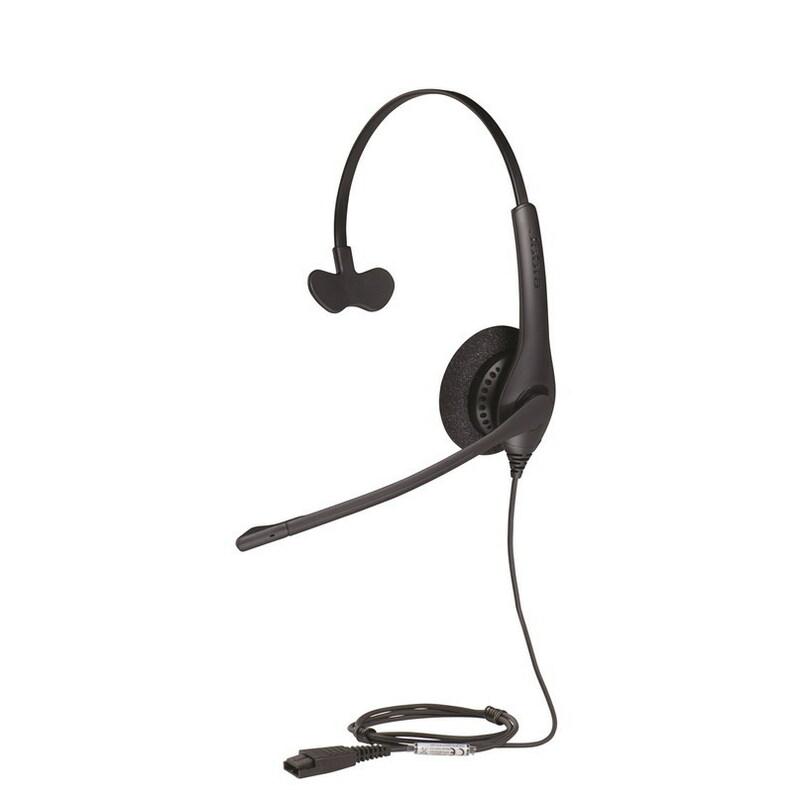 All corded headsets require a bottom cable or an amplifier to work with your device. Like I said above, this has an excellent noise canceling microphone. But in addition, you have high def audio, plush leatherette ear cushions, and very sturdy construction. This CORDED binaural (covers both ears) headphone has a little passive noise canceling (think of resting earphones over your ears without any sound playing). The microphone is a bit unique, it sits just below the base of the earphone to avoid any possible interference with your peripheral vision. You can also extend the microphone to the perfect distance to your mouth. With all of that said, if you’re in a very loud environment that has close quarters or no partitions, you’ll probably want to opt for something with active noise canceling. Great headphone for mild office chatter. Requires a bottom cable or amplifier, comes with a manufacturers 2 year warranty. Click here to buy now. This is the newest wireless headphone on the market. Similar to the above, if you’re in a mild to moderately noisy environment, this dual eared wireless headset will be an awesome choice. This monster comes out of the box with a massive 490ft wireless range, 13 hours of talk time, and advanced noise canceling microphone. The awesome part of this headphone is, you can even plug it into your computer at the same time as your desk phone, allowing you to switch between calls on your landline and soft phone applications. This headphone is certified for Microsoft Skype for Business so chat away, or just enjoy some YouTube or stream some Spotify. It runs on DECT technology like many other wireless headphones, but this uses DECT Security Step C & using FIPS approved algorithms for key generation, payload encryption and authentication. It is the most secure headset on the market. Like I said this headphone is among the line of the newest and best technology by Jabra. Comes with a manufacturer’s 1 year warranty. Click here to buy. The newest technology got even better. 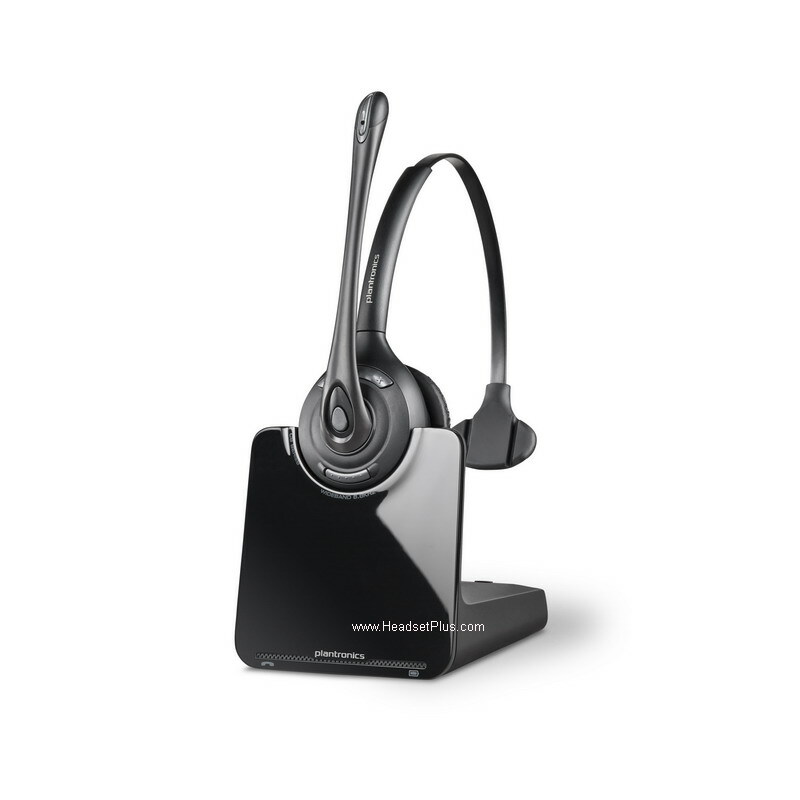 This binaural wireless headset boasts all the same features of the Engage 65 plus more. You will still have the incredible range, talk time, and advanced noise canceling microphone, etc. 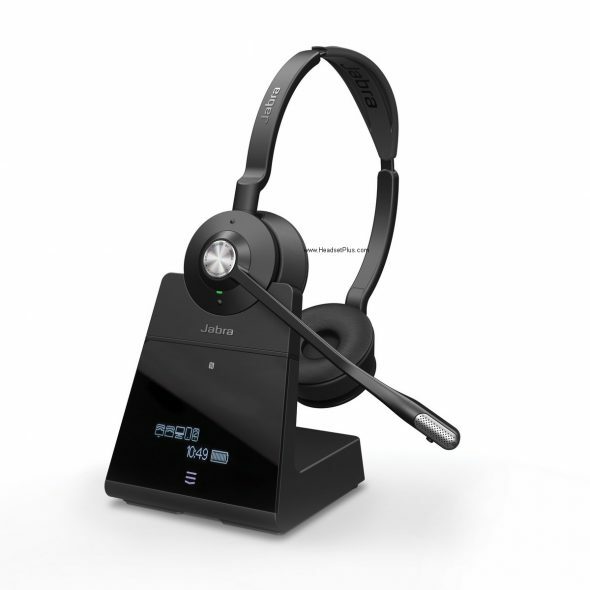 The key differences between this headset and the Engage 65 is the ability to connect to even more devices and a touch screen base. The Engage 75 can connect 5 devices at the same time. Yes you read that right. 5 devices. You can connect 2 USB, 2 Bluetooth, and 1 desk phone. Now, I don’t know why you would need to connect this many devices, but I guess it’s good to know that you can. Comes with a manufacturer’s 1 year warranty. Click here to buy. 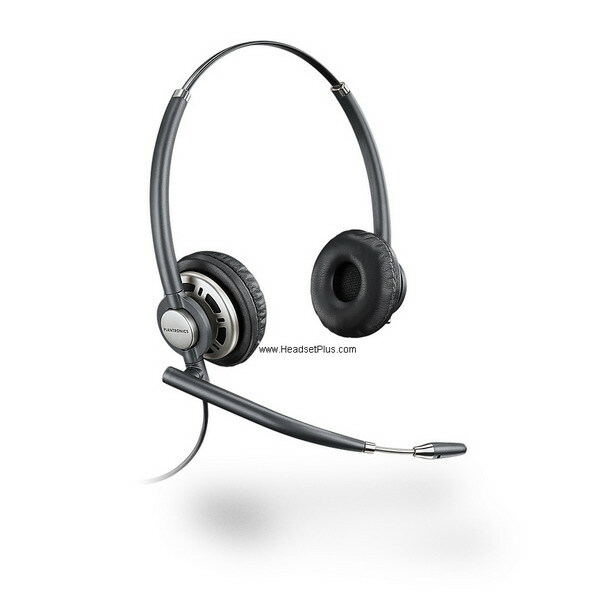 For extremely loud environments here we have a dual ear circumaural corded headset. These headphones were designed to be used in very loud environments, from aircraft carriers to the New York Stock Exchange. 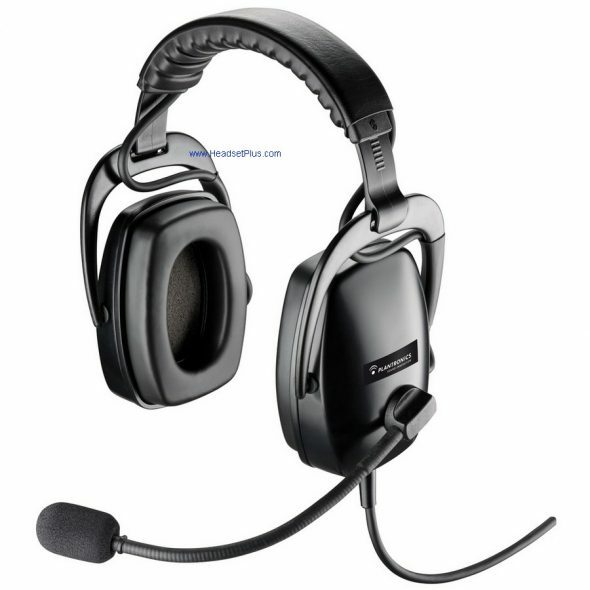 They have 22dB of noise reduction through the ear cups and 20dB through the microphone. These headphones are exceedingly durable. The cables are resistant to UV, and oils and solvents, and will stand up to extreme temperatures while remaining to be flexible. If you’re in a call center environment or have really loud background noise, this is the best corded noise canceling headset. 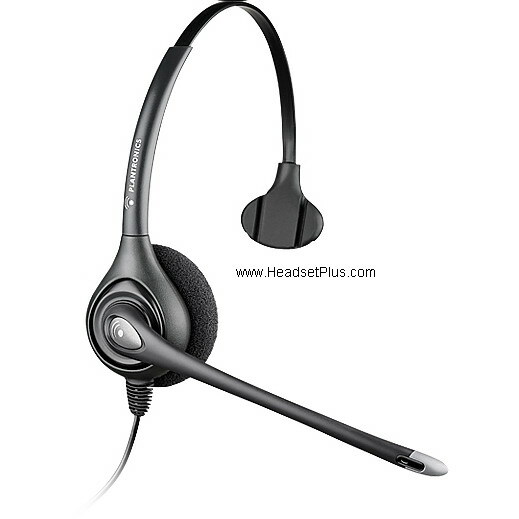 This is a corded headset so you will need a bottom cable or an amplifier. Comes with a manufacturers 2 year warranty. Click here to buy now. This wireless Bluetooth headset would be great for a loud environment. It has active noise canceling in the ear phones as well as a noise canceling microphone. Not only is it very comfortable, but you can also pair it with another Bluetooth enabled device. Say for instance your cell phone rings, you could answer the call with the same headphone. It has soft plush ear cushions so you can wear them all day long. 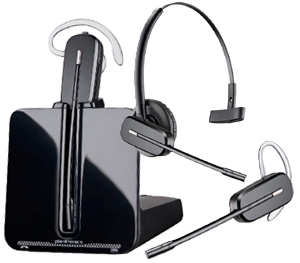 Generally speaking, these headsets were designed to be used with a computer and cell phone. However, we’re seeing that many people want to have a wireless noise canceling (through the earphones) headphone to be used with desk phones. Luckily there is a solution to that. 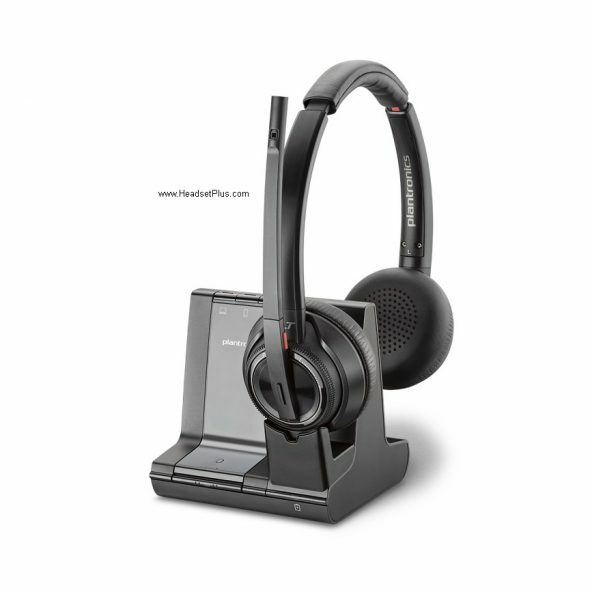 You can pair this headphone with a PC/USB switch that will enable you to use this headset with a corded desk phone. You have about 12 hours of talk time and 150 ft wireless range from the Bluetooth dongle. There are many other subtle features you can read about here. Comes with a 1 year manufacturer’s warranty. Click here to buy now. 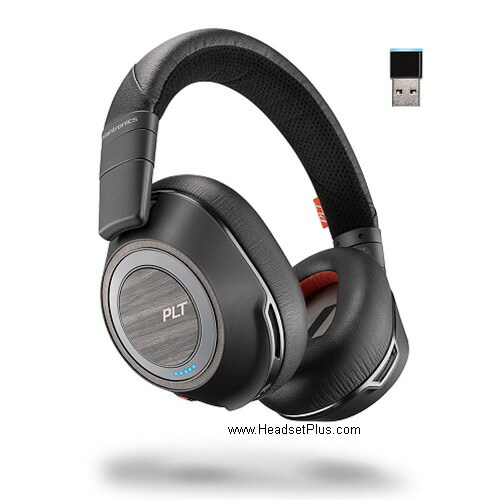 This Plantronics Savi 8220 headset is the newest wireless noise canceling headset by Plantronics. If you’re familiar with the Savi 700 series, the 8200 series is an improvement on them. You will have the same triple connectivity, desk phone, computer, cell phone. The great upside to this headset is the active noise cancellation and the additional talk and standby time. 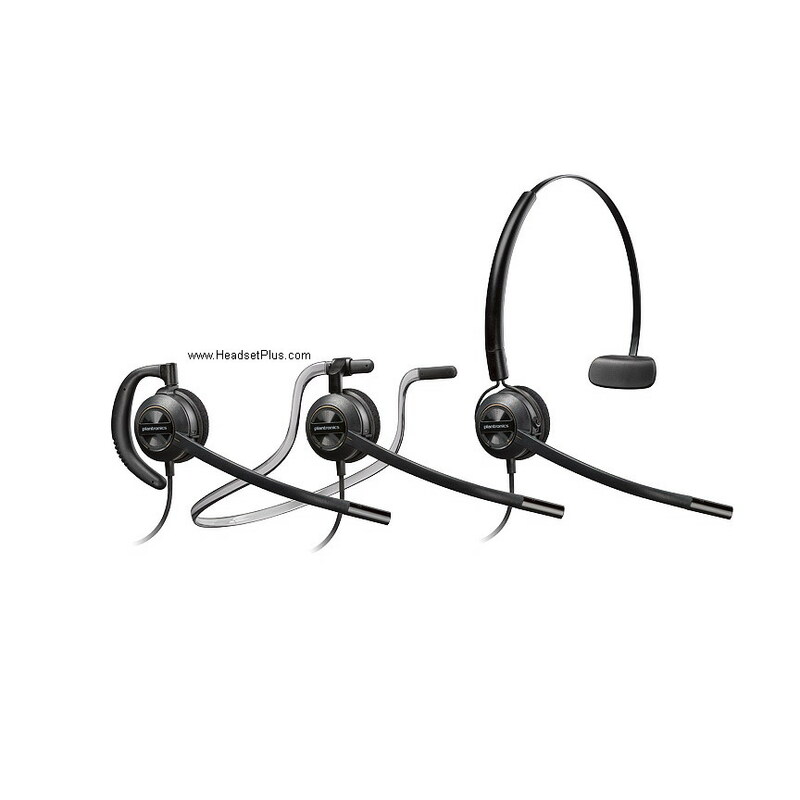 No longer will you have to choose between a rugged corded headset or a Bluetooth only headset. This is the best of both worlds including 13 hours of talk time, and 590ft line of sight wireless range. This has an excellent noise canceling microphone, and is very comfortable. 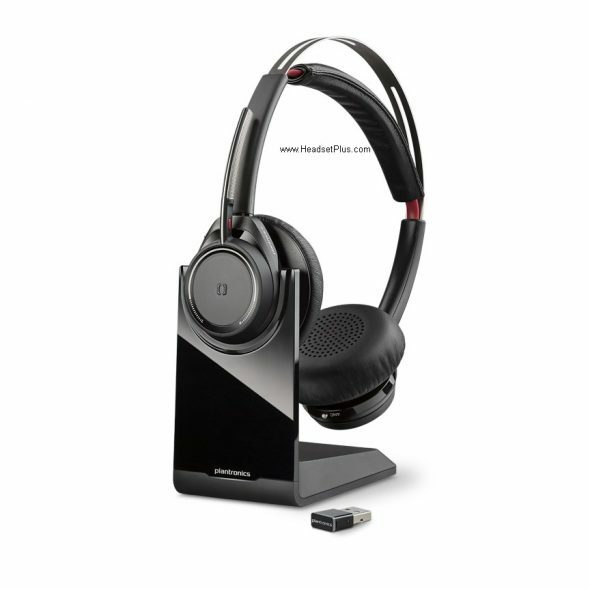 The Plantronics Savi 700 series was always a great headset, now it just got even better. It has the best noise canceling microphone of all the headsets in this list. Comes complete with a one year manufacturer’s warranty. Click HERE to buy now. Last but not least we have the top of the line wireless that Plantronics makes. 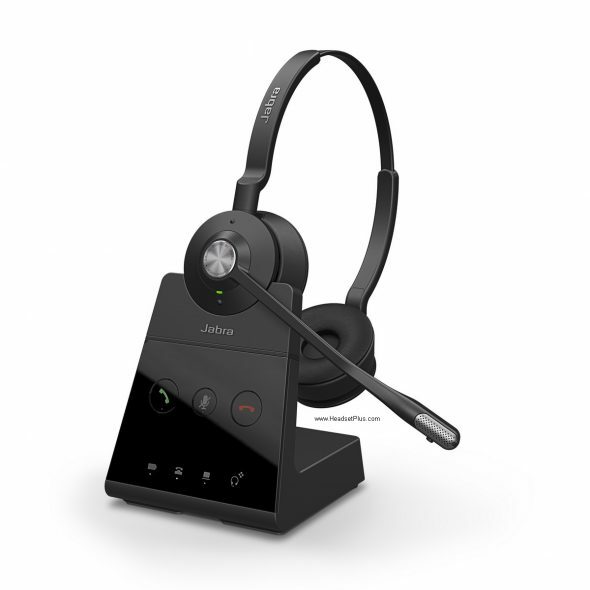 This headset is the newest addition to the noise canceling earphones/microphone headsets. This has a Omni directional boomless microphone, dual mode active noise canceling, and 20 hours of talk time. 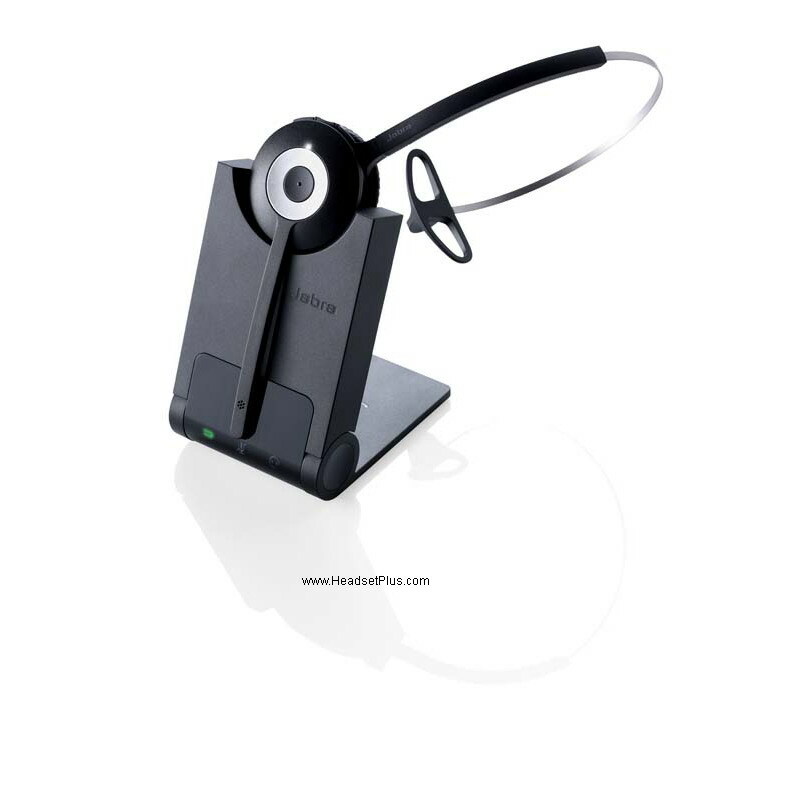 Like the Voyager Focus, you can use this headphone with your Bluetooth enabled devices and with your corded desk phone with the addition a PC/USB switch. When you’re not on the phone, you can enjoy up to 24 hours of streaming music, watching movies, etc. Another neat function is an open mic button which will allow you to listen to your surroundings when needed. So to sum this unit up, extremely powerful, comfortable, and unique. Comes with a 1 year manufacturer’s warranty. Click here to buy now. There are many other smaller features and details that you can read about by visiting our website. Before making your decision, or if you’re unsure about compatibility, feel free to contact us at.